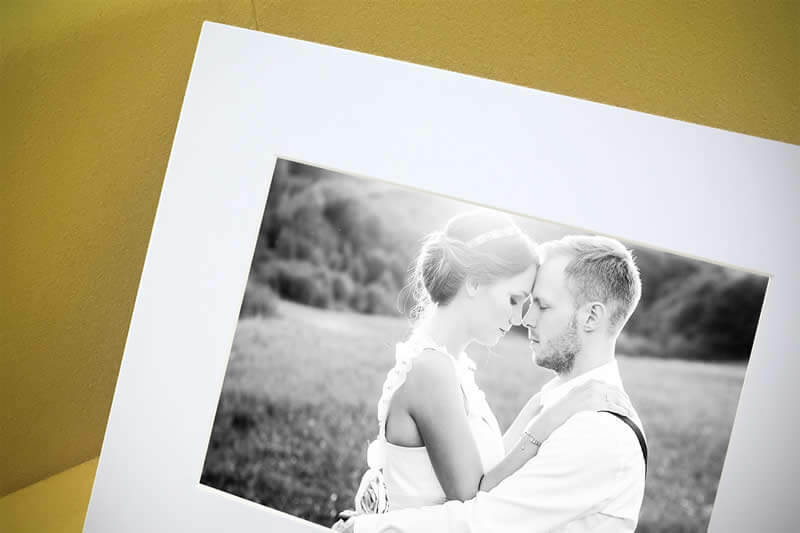 A heavyweight White bevel cut photo mat with white core. Just add prints - simply slide them in. No need to glue back and front of the mat - they are pre-glued. No strut at back.